Talks between Conservative and Labour teams are taking place for a second day as they try to end the Brexit deadlock. It follows discussions between Theresa May and Jeremy Corbyn on Wednesday, which were described as “constructive”. Shadow Brexit secretary Sir Keir Starmer said the idea of a “confirmatory” referendum on any Brexit deal would be discussed. MPs backed a bill, which would force the PM to seek a new delay to Brexit. Peers are due to debate it later. The UK is due to leave the EU on 12 April, and as yet, no withdrawal deal is in place. But Ministers have warned the backbench bill – put forward by Labour’s Yvette Cooper – could increase “the risk of an accidental no-deal”. No 10 says the bill, passed by the Commons with a majority of one vote on Wednesday, would deny the PM the power to agree a deal with EU leaders on April 10 – two days before exit – as MPs would have to agree to any new Brexit date. Any Brexit delay will require the unanimous backing of all 28 EU leaders at a summit next Wednesday. If they agree but suggest a different date to the one backed by MPs – the prime minister would have to bring it back to the Commons for further approval on Thursday 11 April. “By April 11, the European Council will have concluded and the leaders will have returned to their member states. In the words of the secretary of state, the bill could increase the risk of an accidental no-deal exit,” the prime minister’s spokesman said. The backbench bill will need the approval of the House of Lords if it is to become law. Lords are debating the procedure to bring forward the bill, before discussing the bill itself. But ultimately it is the EU which decides whether to grant an extension. European Commission Vice-President Jyrki Katainen said a no-deal Brexit was still “highly likely”. Arriving for the latest round of Conservative-Labour talks, shadow Brexit secretary Sir Keir Starmer said the idea of a “confirmatory” referendum on any Brexit deal would be discussed. “We have been discussing Labour’s alternative plan and issues such as confirmatory votes,” he said. Shadow Treasury minister Clive Lewis told BBC Radio 4’s World at One that Labour would not be talking to the government “if there wasn’t the possibility that Labour Party policy – which is to take this back to the public on any deal that is agreed by Parliament – couldn’t be pursued and enacted”. He said that even if a joint deal agreed by Jeremy Corbyn and Theresa May was exactly the same as Labour’s Brexit plan it should still go back to the public, with the option of remaining in the EU on the ballot paper. But it has emerged that party chairman Ian Lavery offered to quit the shadow cabinet, after twice defying orders to vote in favour of another referendum. And 25 Labour MPs – including former minister Caroline Flint and a number MPs for Leave-voting seats in the North and Midlands – have written to Jeremy Corbyn, saying another referendum should not be included in any compromise Brexit deal. They wrote: “Delaying for many months in the hope of a second referendum will simply divide the country further and add uncertainty for business. Chancellor Philip Hammond has said he expects Brussels to insist on a lengthy delay to Brexit. He also described a public vote to approve any final deal as “a perfectly credible proposition”. But Health Secretary Matt Hancock told BBC Radio 4 Today he was “very strongly against” a public vote and he would not want to see a long extension to Brexit. 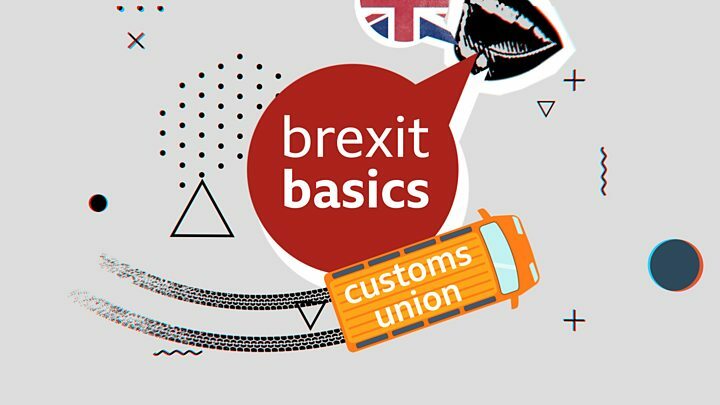 Among Mrs May’s “red lines” was leaving the EU’s customs union, which allows goods to move between member states without being subject to tariffs. It also imposes the same tariffs on goods from outside countries. Labour wants a new permanent customs union with the EU, while Northern Ireland’s Democratic Unionist Party – which props up Mrs May’s government – indicated on Wednesday that it could support the idea. But if they cannot reach a consensus, she has pledged to allow MPs to vote on a number of options, including the withdrawal agreement she has negotiated with the EU, which MPs have already rejected three times. In either event, Mrs May said she would ask the EU for a further short extension to Brexit in the hope of getting an agreement passed by Parliament before 22 May, so that the UK does not have to take part in European elections. Yvette Cooper’s backbench bill to prevent a no-deal departure from the EU passed by 313 votes to 312 on Wednesday. 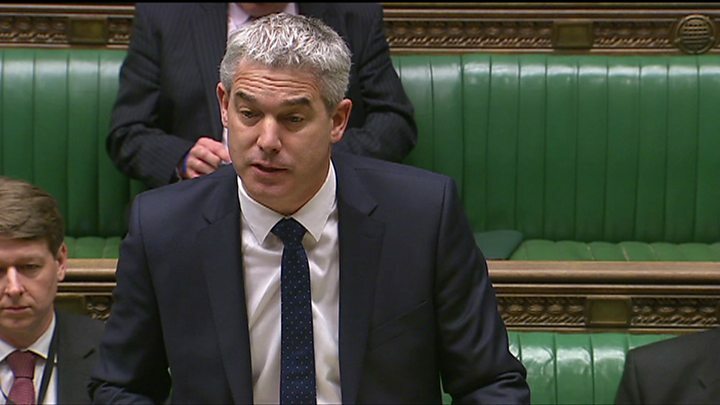 On Thursday, Brexit Secretary Stephen Barclay told MPs he would hope the Lords would “scrutinise this bill passed in haste with its constitutional flaws”.